The shoes are inspired by Bavarian leather pants and are made of high-quality leather and premium materials. It all starts with the first pint and then moves on to the next one. A couple of pints more follow. And before you know it, you are not only dialing the numbers of your best friends and letting them know how much you love them; you now have a sudden need to vomit all the beer that you have been consuming for the last four hours. And there goes your favorite pair of shoes that you so painstakingly bought. Every beer fan knows that the struggle is real. So, Adidas had a bright idea and decided to solve this problem once and for all. 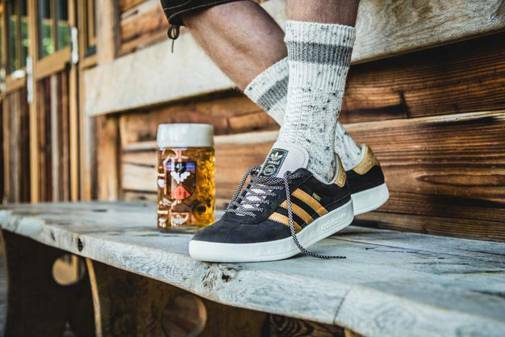 Right before the most popular beer festival, Oktoberfest, held in Germany, the good people at Adidas launched a beer and vomit-repellent sneakers. The shoes are inspired by Bavarian leather pants and are made of high-quality leather and premium materials. The leather is coated with DPBR - durable puke and beer repellent. 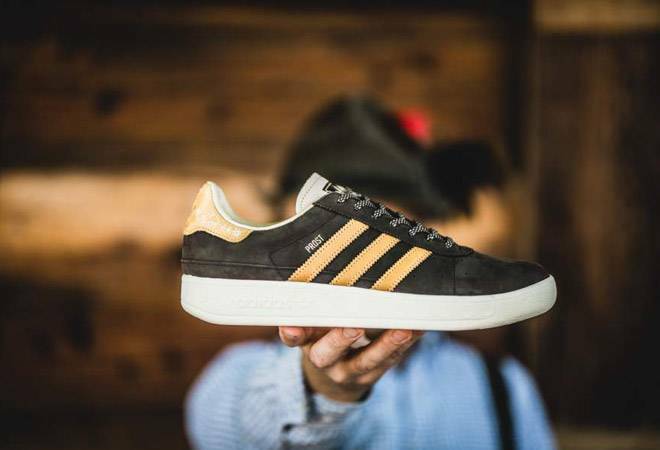 The shoes also have Prost - German for cheers - lettered in golden next to the three stripes. That's not all, upon buying a pair; one gets a complimentary beer mug. 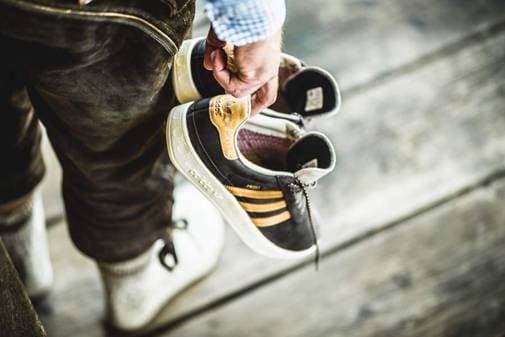 Oktoberfest or not, history is proof that we all need a little bit of DPBR on our shoes. The best part is one can get the shoes delivered to their address in India. You can buy yours here .